The air was crisp and chilly, a perfect January day. With all our mild weather lately, we were delighted to have a simple full-fledged winter weather. 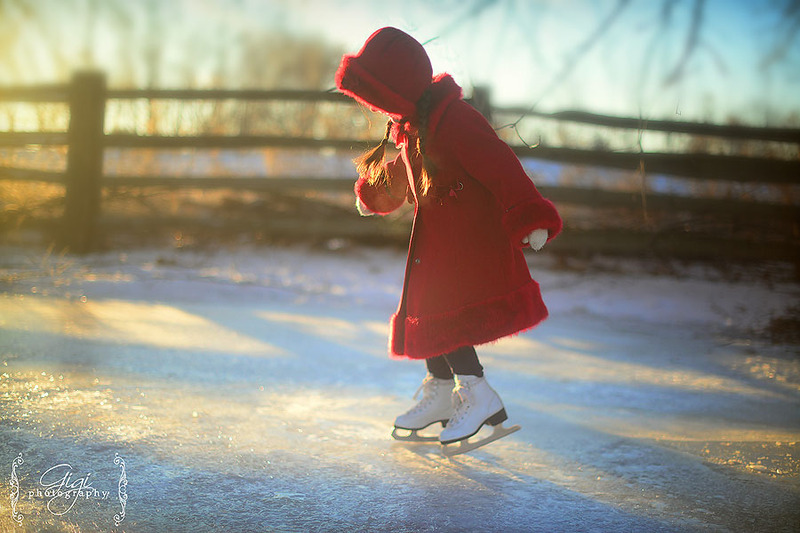 The little ones and big ones alike found their skates, some dull with use, others sharpened with the hand-sharpening tool their daddy kept on hand … laces were tied and everyone stumbled excitedly outdoors. 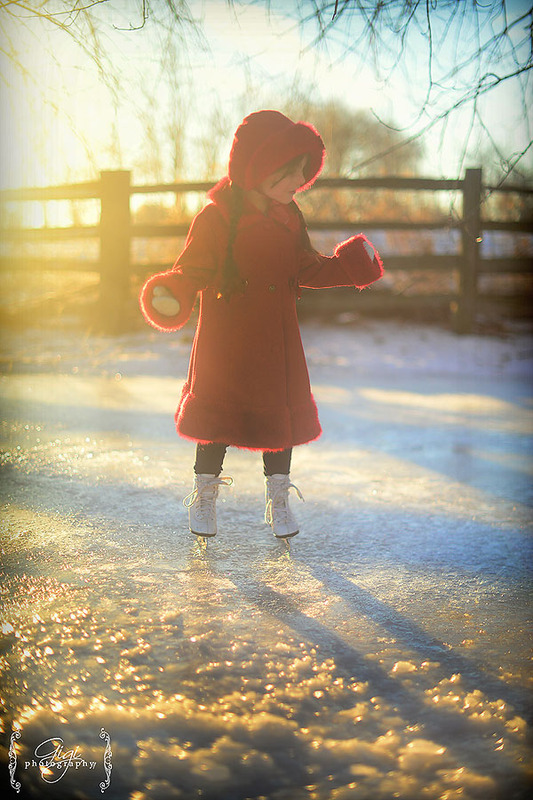 Gliding skates over rough, bumpy surfaces, ice crackles, sunlight streaming through the barren silver maple trees made up of the old-fashioned skating scene in our front yard. I watched with wonder from our front parlour window. Delighted with the vivid entertainment, my one year old thumped the window pane, calling to his sisters with glee. Our daily formal school time was finished for the day and children were now free to explore outdoor activities. Here is the benefit, I believe, in using a Charlotte Mason method for our home education, in which afternoons are used for other means of learning besides formal schooling. Just at that moment, a big yellow bus rumbled past along our road, most likely on it’s way to pick up children and courier them home from their hours at a the local government school. My thoughts wandered a little … while schooling the children at home means catering my life and time around teaching and instructing, monitoring and encouraging, it is bursting with rewards, as well. 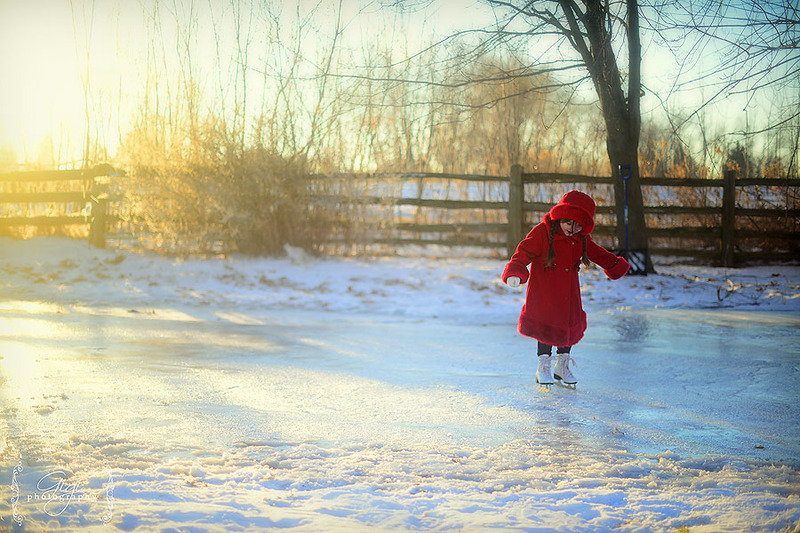 The time of freedom that comes with home education is a such a blessing – I love that my children can enjoy this fresh air, sparkling snow and sunshine on their skin in the middle of the day. There is much to say for the joys, the blessings, the benefits of school together in this informal way. 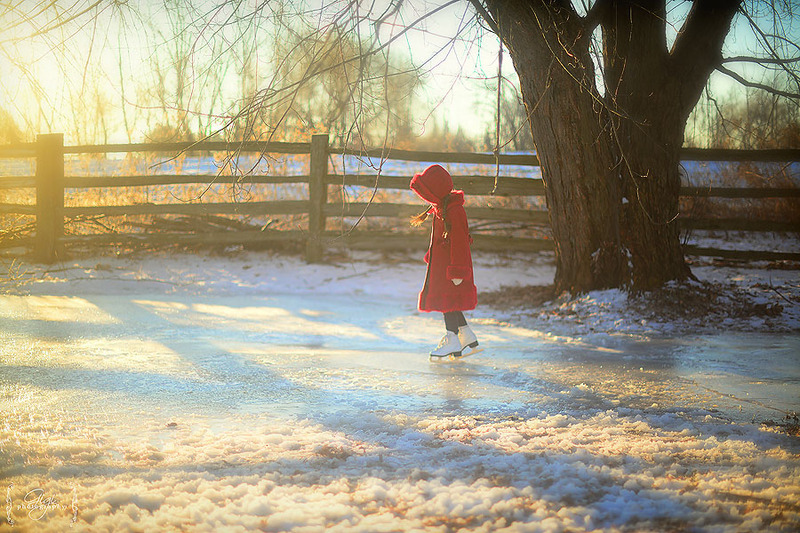 The six girls and one wee boy stopped skating, eyes facing upward as they watched with wonder. The four large birds circled not thirty feet from the ground. The eagles spread their wings and were soon soaring overtop of our house and property … seeing the third and fourth bird closer puzzled me … they did not look like bald eagles, but certainly appeared to be of a similar size. They were mottled with dark brown or black and white feathers…we all watched carefully as the two bald eagles swiftly flew away, right overtop of us, with the two mysterious large birds following closely behind. Later, while gathered around the noisy kitchen table at the lunch hour, my children told me they had seen those four large birds the previous day. This is now the fifth or sixth time we have spotted Bald Eagles from our yard – and with a little further research, we discovered the two spotted-type birds of prey were actually younger bald eagles, ones that have not quite grown their adult plumage yet. We talked about how fascinating it was to see these birds of prey in the wild, we looked up their markings in our bird book and later promised we would watch a documentary on eagles. Lunch dishes were washed, the kitchen cleaned and all the young people decided to scamper outside and try out skating again. I stoked the fire and added some more wood to the woodstove and made my way back to the kitchen to prepare a pot of hot chocolate for their return. Home education, I thought,is not so challenging — if we keep our eyes in the right direction. P.S. 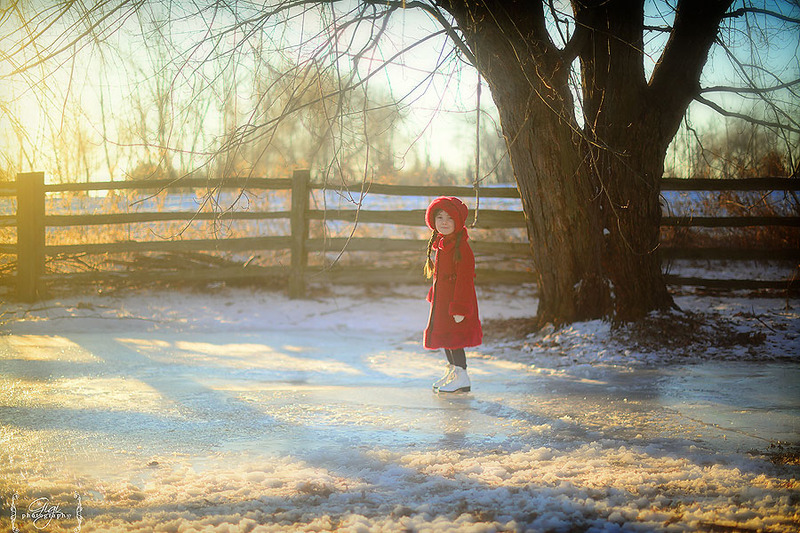 As we learn new hymns weekly, I came across these lovely lyrics about winter. It seemed fitting to share. and all the earth lies dead and drear. and clothes each branch with glittering wreaths. and warmer glows her light within. Gigi – Kristal, okay, I will try to list some things out. Schooling is so personal – what works for one family may not work for another, but I will try to help. How old is your eldest? Gigi – Diane, that is just wonderful! I love to hear the whistle of wings – but even more amazing if it comes from the wind of eagles’ wings! Sarah – Wow! What an amazing blessing to see a family of bald eagles! I am sure it will be a special memory your children will cherish all of their lives. Diane – Your pictures are stunning GiGi, and that beautiful coat on Lavender! Sounds like a wonderful homeschooling day. We live on the Kalamazoo river and we frequently see bald eagles. My daughter loves to take pictures of them. We had 2 that flew together right through our back field last fall. I could hear this whistling noise in their wings it was so close to our deck. So beautiful! I love the freedom of homeschooling. We only have a year left after this one. This will be 23 yrs for us. Now my Grandkids are being homeschooled too. Well, yes, I would write a post on home schooling – sometimes, I start one and then I am overwhelmed at how much there is to write. Do you have suggestions on what exactly you would like to hear first? There is much to discuss. Kristal – How fun to see some bald Eagles. We have a few the nest at a river nearby our house. We always like taking the time to go bird watching by the river whenever we can. I was wondering Gigi, would you ever be interested in writing a blog post on your homeschooling? We are homeschoolers too. We blend a bit of classical and Charlotte Mason together. I would love to read your thoughts on homeschool and the materials you use!